If you know the Companies that mustered from these or other Vanderburgh Units in the Civil War, please email me that list. 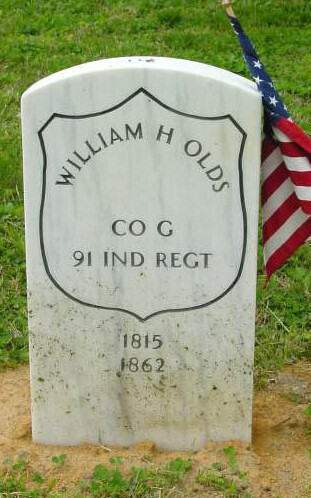 Olds, William H. 1815-1862, Co. G, 91 Ind. Regt. 1st Reg. Cavalry - 28th Reg.Vol.